The ways in which we communicate with businesses have undergone many changes in the last few decades. Customer service has evolved from the early days of call centers, when the phone was the single communication channel through which one could get customer service to the multi-channel world of today, where consumers are able to get support on the communication channel of their choice. Many of us have less than fond memories about customer service in the past. We remember having to wait on hold for hours, only to be told that we needed to call back on a different day, or being given wrong information or speaking with a customer service agent who did not have the adequate knowledge to resolve our issue. Customer service in the past can be defined as customer service that was most convenient for the company, during the time when the company found convenient (9-5) and that was available only on a single communication channel. What Do Consumers Expect in 2019? Simply put, customers expect good customer service. Customer service that is available on multiple channels and which is available 24/7. Customers who experience such customer service (waiting for hours in line) from a company in 2019 are unlikely to remain customers of that company. Many customers today expect to be able to resolve simple customer service issues on their own, without the need of having to communicate with a live agent. To this end, customers expect companies to offer web self-service as part of their customer service offering. If they can’t save the issue by themselves, because it is too complex, customers expect to communicate with customer service agents who have more knowledge about their problem and who are able to resolve their issue quickly and with minimal discomfort. No customer wants to be transferred to multiple agents. It is therefore crucial that agents who work in a customer service contact center have access to a professional knowledge base that contains all of the knowledge that they may need to resolve any issue. 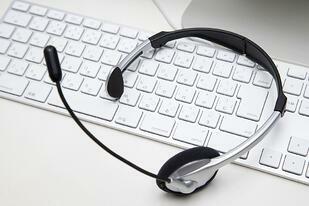 What is Multi-Channel Customer Support? Multi-channel customer support means that customer support is offered on the channels which are your customers preferred method of communication. Channels can vary greatly and may include things such as, phone, email, chatbot, web self-service, social media and others. The purpose of multi-channel customer support is to make customer service as easy as possible for your customers and always in the same good quality. 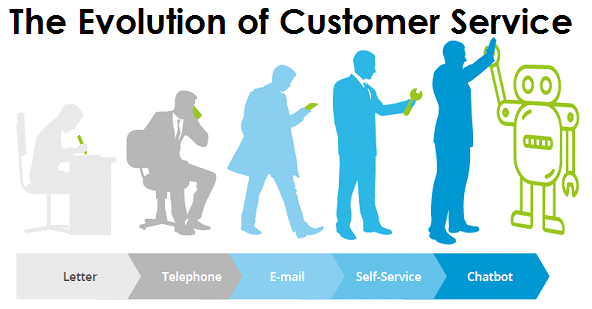 With multi-channel support customers are able to get quality customer service on the communication platform of their choice and during the time when they choose and if they prefer to resolve their issue on their own without the help of an agent they are able to use web self-service and automated Chatbots to resolve their issue. According to research done by SalesForce, companies that invest in robust multi-channel support see a significant increase in customer loyalty and customer retention. The bottom line is simple, customers in 2019 prefer to do business with companies that offer user friendly, multi-channel customer support. Customers expect to be able to choose from a variety of channels as well as having the option to resolve their problem themselves through self-service.